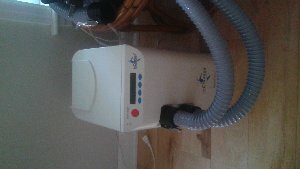 This machine shakes up mucus making it easier to clear your lungs and esophagus of mucus. It's lightly used and in perfect condition. Portable, easy to use and extremely effective. It comes with traveling case. It's clean and clear of any markes. Vest not included.